Create the perfect sleeping space with the right pillow for your sleeping style. 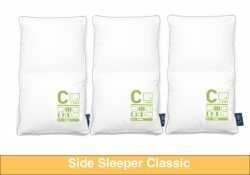 A side sleeper or back sleeper pillow is designed to provide the right support for your best night’s sleep. At Fancy Homes, we offer the perfect solution to buy a pillow online that is right for you! The Side Sleeper Classic is designed for versatility. If you alternate between sleeping on your side and your back, this pillow offers three zones that give you a different feeling in every position. Get the right support in any sleep position for the most natural sleeping experience. 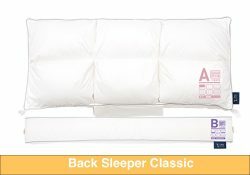 The Back Sleeper Classic offers support to your neck and head while sleeping on your back. 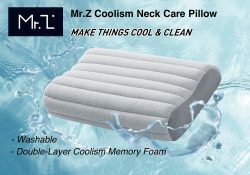 Two zones offer variable support to help keep your neck in line and make you comfortable for a great night’s sleep. Buy the pillow online that supports your sleeping style. 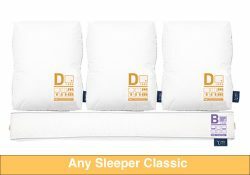 The Any Sleeper Classic combines the benefits of the Side Sleeper and the Back Sleeper into a single pillow with four different zones. 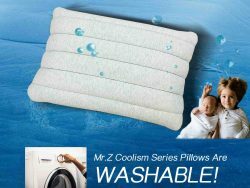 If you’ve found getting the perfect pillow for you impossible, this could be the right choice for you. This is the ultimate choice for complex sleepers who have very unique demands. 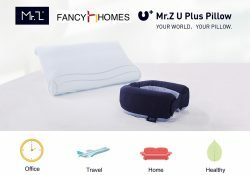 Buy the pillow online that meets all of your needs for support, relaxation, and a full night of quality sleep night after night. Get the greatest value when you order a pillow online from Fancy Homes. Place your order and save hundreds on your total purchase. Your quest for the perfect pillow is over. We have just what you need!